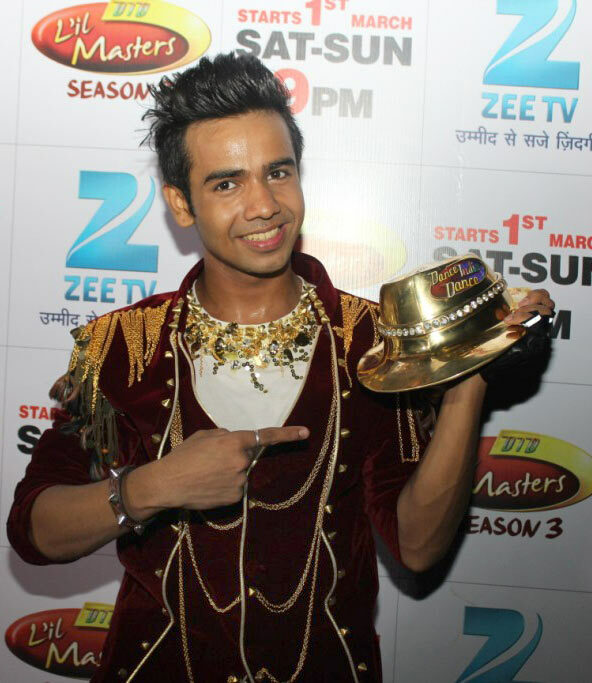 Dance India Dance Season 4 winner Shyam Yadav on his victory and his fateful meeting with Salman Khan. 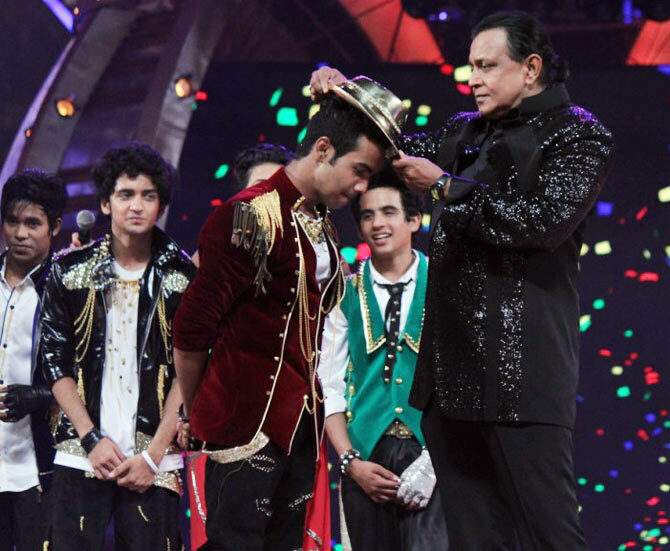 Mumbai boy Shyam Yadav walked away with the 'Sunehri Taqdeer Ki Topi' as the winner of Zee TV reality show Dance India Dance Season 4, on February 22. 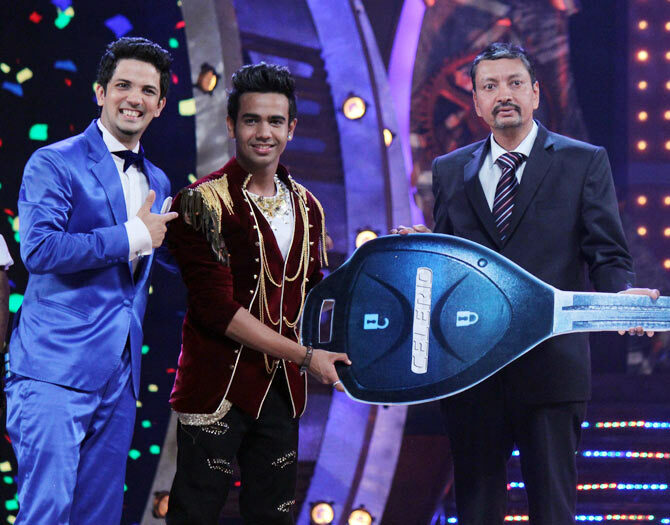 The 18-year-old won a Maruti Celerio car and a three-year contract with Zee TV. Trained by Bollywood choreographer Mudassar Khan, Shyam has studied at Mudassar's dance school since he was a child and has been doing stage performances for the choreographer's troupe for seven years. He shares his DID experience with Rediff.com's Rajul Hegde. I did not expect to win but when I got selected in the top 18, I knew I had a shot at the trophy so I spent more time practicing. I gave my 100 per cent and it has paid off. It was an amazing experience! Bollywood and hip-hop are my forte, but I got to learn difference styles of dancing during the show. I got to meet many actors from the industry and made lots of friends. I was selected five times as the best dancer of the week. I was given the name "crazy legs" by my co-contestants because they think my foot movements are crazy. The best thing about this season was that contestants had a unique style of dancing. I reinvented the techno style while Manan Sachdeva created his unique style as swat. Other contestants developed their own styles too. Dance India Dance gave me the opportunity to travel by air for the first time during the promotions. As a kid I used to participate in my school's annual day functions. My parents always said they want to see me on television. Since I was good at dance they decided to enrol me in a dance academy. My tuition teacher suggested Fire Dance Academy as her daughter was already learning there. For the last seven years I have been learning dance from them. I decided to take up dancing seriously because it opens up other channels in Bollywood like acting. But I want to be a choreographer first and then if I get an opportunity, I will try acting too. Salman Khan and Farhan Akhtar are my inspiration. 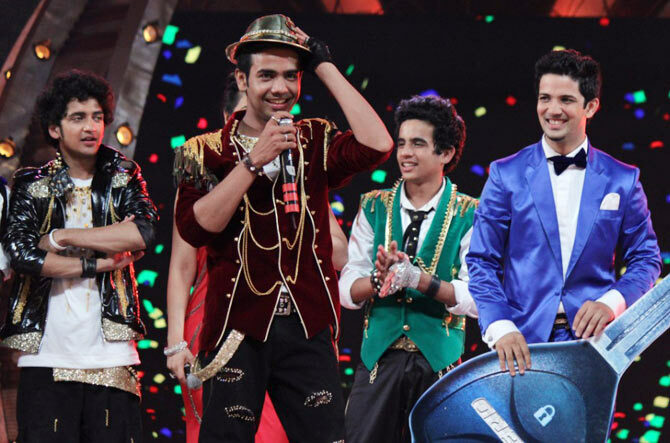 What is your equation with your teacher Mudassar Khan (one of the judges on the show)? Mudassar sir knows me and understands me more than my mom. He asked me not to participate in the show because he was judging it, and people might think he is being partial. But I wanted to see myself there and I went for it. When I came for the audition, Mudassar sir asked other two judges Shruti ma'am (Merchant) and Feroz sir (Khan) to decide whether they want me in the show or not. Once I was through with the auditions he treated me like any other contestant, without being biased. Yes. I have worked with Salman sir as a backup dancer during different stage shows. Also, at times I taught him dance moves during rehearsals. When I participated in Dance India Dance, it was my dream to perform before Salman sir on the DID stage and I am very lucky that my dream came true. Best moment on the show? My dad is a chef in Australia and doesn't visit us often because he can't afford to live in India without pay. All thanks to Zee TV, I got to see him after four years when the audio-visual was played during the show. Second, Mudassar sir showed everyone a slide show of our old pictures and hugged me on stage. Third, when Salman sir came on the show as a guest he shared his experience of me teaching him dancing steps for his stage performances. After winning the title, I now have the courage to dream that some day I will share screen space with superstar Salman Khan. How did your family and friends react after the win? Despite their board exams, my friends did their bit by sticking my posters all over the city. I am planning to celebrate the victory with all of them. I am in class 12 right now. First, I would like to complete my graduation with the stage shows simultaneously. My dream is to become a choreographer and try my luck in acting too. Next month, I am going to South Africa for a stage show. Also, I want my father to come back for good, and I want to take care of my family.